Industry News Archives - Salefish Inc.
38th BILD Awards Recognizes the Best of the Best! On Friday May 4th, over 1,300 industry leaders in the Greater Toronto Area gathered for the 38th Annual BILD Awards presented by the Building Industry and Land Development Association (BILD). They recognized the astounding achievements of developers, new home builders, architects, designers as well as sales and marketing professionals across our region. Congratulations to our clients on their well deserved nomination and awards. 6-Storey Wood Framed Buildings Come to Ontario! It’s soon to be official. 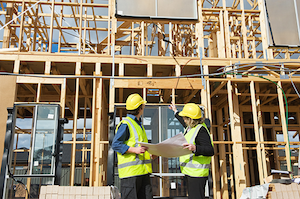 On January 1, 2015, wood frame buildings can now be built up to 6-storeys in Ontario, raising the limit from 4-storeys. Innovations In Wood: Is The Ideal Building Material Made By Mother Nature? The Coast Redwoods in California can live more than 2,000 years. Their trunks can grow up to 24 feet wide. And some reach higher than a 30-floor skyscraper. 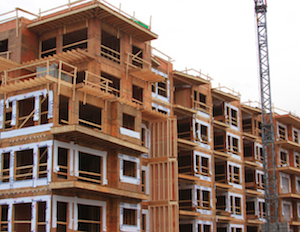 A new wave of innovation is sweeping across North America — and it’s 6-8 storey Wood Buildings.